A Turkish court denied an initial appeal last week for the release of Rev. Andrew Brunson, an American Protestant pastor kept under arrest for the past three months over alleged links to a terrorist organisation. In the wake of the 29 Dec. refusal to release Brunson, his lawyer confirmed to World Watch Monitor that while appeals and the government’s official investigation into the allegations against the pastor are continuing, no formal case has yet been opened against him. Initially detained under deportation orders in the port city of Izmir on 7 Oct., Brunson was held in detention facilities without formal charges until 9 Dec., when he was brought to court for the first time for questioning. He was then ordered to be imprisoned, accused in writing of “membership in an armed terrorist organisation”. The judge revealed for the first time during the courtroom session that the pastor’s charges were based on accusations by a “secret informer”, who remains unidentified. No legal documents have been released to Brunson’s lawyer that specify the details or evidence upon which the charges are based. But during the hearing, the judge specifically mentioned allegations that the pastor had links with the Fethullah Gülen movement, accused by Ankara of instigating a failed military coup against the Turkish government last July. Over the past six months, thousands of judges, prosecutors, military personnel, journalists, educators and other civilians have been arrested in a wide-ranging crackdown to identify and prosecute the coup plotters and their sympathisers. The Justice Ministry announced on 2 Jan. that, to date, 41,326 “terrorism suspects” had been arrested in the legal probe against the Gülen movement; Rev. Brunson is apparently one of them. Although Brunson’s lawyer had been blocked from any access to him during his two months of detention, he has since been permitted to meet him in prison three times. But due to Ankara’s current emergency law decrees imposed since the attempted coup, their sessions are not private. “Those visits are recorded and any notes taken by his attorney are copied,” reports the American Center for Law and Justice (ACLJ) group advocating and circulating petitions on behalf of Brunson’s family. Rev. Brunson was allowed one family visit on 28 Dec., when he confirmed that he has been permitted to have only one English book, the New Testament. 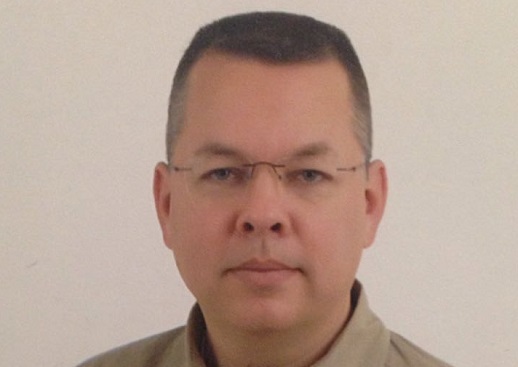 Although US Embassy officials were blocked several times in previous attempts to visit Brunson while he was under detention, they were permitted to meet him in prison on 30 Dec.
A Turkish parliamentarian recently told one Turkish Protestant leader that at least 100 foreign citizens from Orthodox, Catholic and Protestant denominations have been deported, refused residence visa renewal or denied re-entry into Turkey without explanation in the past four years. In addition to Brunson, currently at least three other Protestant expatriates active in Christian ministries in Turkey for a decade or more are fighting legal battles to either remain in the country or regain from abroad their abruptly cancelled residence visas. An unidentified “senior Turkish official” told a Wall Street Journal columnist writing about the Brunson case from London yesterday (3 Jan.) that “the idea that Mr. Brunson’s arrest was related to his religious affiliation is ludicrous,” asserting that Christians in Turkey “freely exercise their religion”. 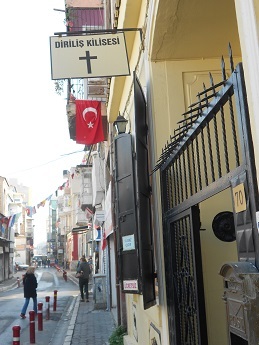 But nevertheless, this is the first time in more than a decade that Turkish authorities, acting on orders from Ankara’s Interior Ministry, have without explanation ordered the lengthy detention and then jailing of a foreign Protestant citizen involved in legally recognised church-related Christian ministry in the country.